So I received a call from a person that had this in their mailbox this morning. Looks like the whole block had them in their mailboxes. This is the second time folks have complained about being contacted by the LNA on an issue that has already been resolved yet they feel some need to have a meeting about it. 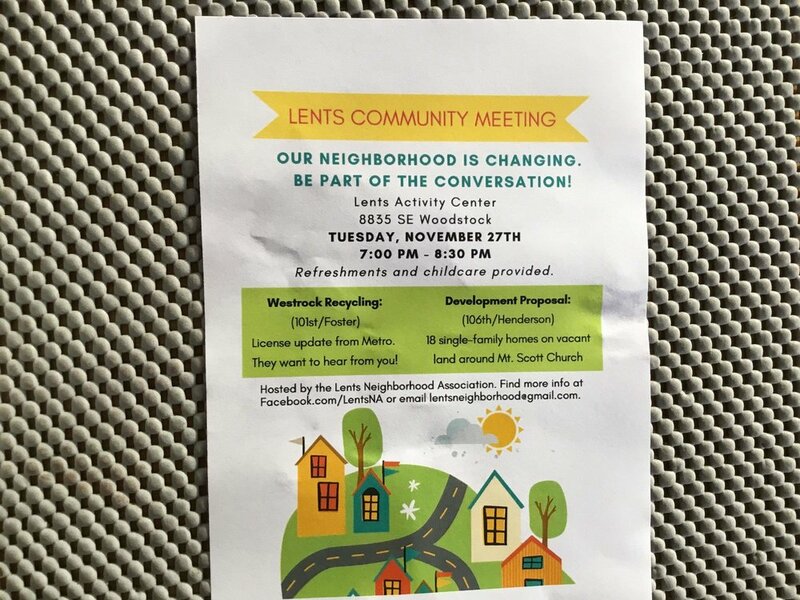 Last month the LNLA had WestRock at the meeting and due to the hard work and push from resident Renee Goeckritz-Dutton they worked out a plan. A few days later ex board member Bader claimed gave some kudos to the LNA board for this success. We pointed out that not only did the LNA have NOTHING to do with it, one resident feels harassed. Emails, phone calls and now flyers..on an issue that has been resolved. without their input. None of this surprises me. Nothing seems to have changed. Bogus elections. no interest by residents and more false claims about exactly what this group really does?? 24 folks showed to your first election 18 to the next.... are you getting the hint? Earth to LNA Board....This issue was resolved. There was a meeting on it a month ago with all interested parties present at the LNLA meeting..don;t you have by laws to finish that have been in the making for over a year ? Is putting something in a mailbox against the law? The U.S. Code for crimes and criminal procedure prohibits the placement of unstamped flyers in any mailbox. Title 18, section 1725 states that any person who knowingly deposits "mail-able matter" without postage in an established letter box shall be subject to a fine.